It’s not every day that you have the opportunity to sing in a cathedral that houses a Michaelangelo painting. We had this amazing opportunity today in Toledo. 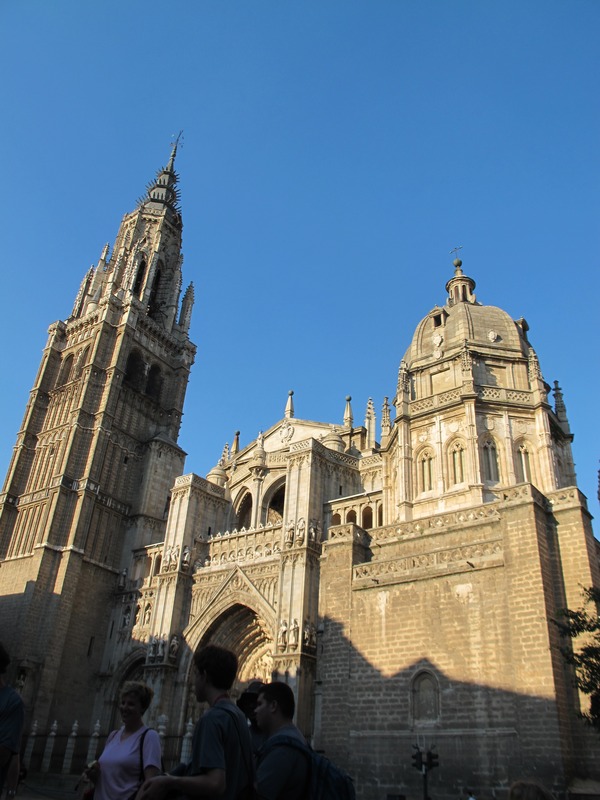 Upon arrival in Toledo, we dropped our uniforms off at the cathedral and first saw how impressive this cathdral was. 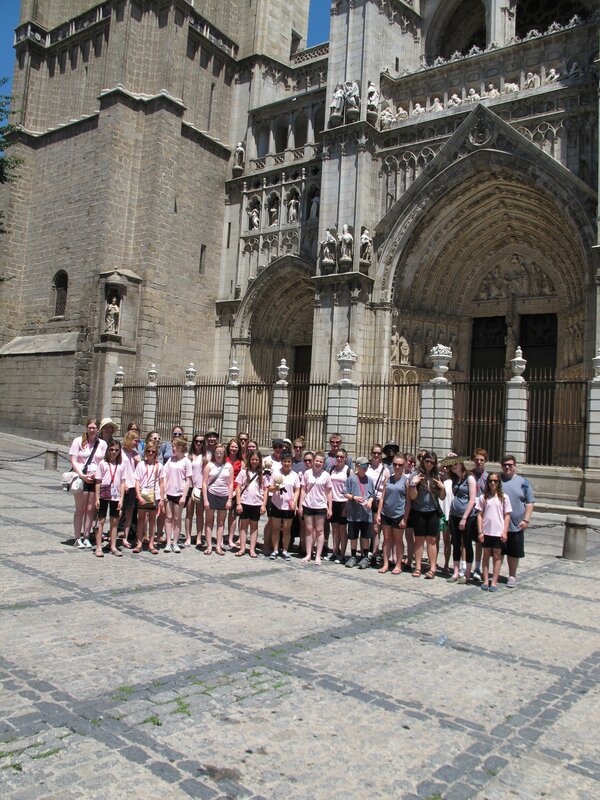 We then had a two hour walking tour in the 40 degree heat around the cit,y followed by some shopping time. When we arrived back at the Cathedral, we changed and warmed up for our concert in a back room of the Cathedral. These rooms are always so neat to see because they are not rooms that most people will ever get to visit. We sang first as a part of the 6:30pm mass, and then performed a thirty minute concert. For the mass, we got to sit in the choir loft. These seats are as old as the cathedral and only the most important visitors to the cathedral are allowed to sit there, so it was pretty neat that we got to sit in them. They were full of intricate carvings worn down in places by time. After the mass, we filed into the chapel to perform our concert. The wall behind where we were singing was full of intricate ornamentation. It was so beautiful. Even though we were very hot and tired after a long day in the heat, we sang well and our audience loved the performance. Our correspondent at the cathedral gave a wonderful speech to thank us at the end of our concert. He told us that we are welcome back anytime. It is an amazing opportunity to even get to sing in this cathedral. They almost never invite children’s choirs to sing there and we were the first in a long time to be invited. During the concert, the priest took a call on his phone and without saying anything, held it up so that whoever was on the other end of the line could hear us sing. All in all, it was an amazing concert. We had a late dinner after the concert and then drove back to Madrid. 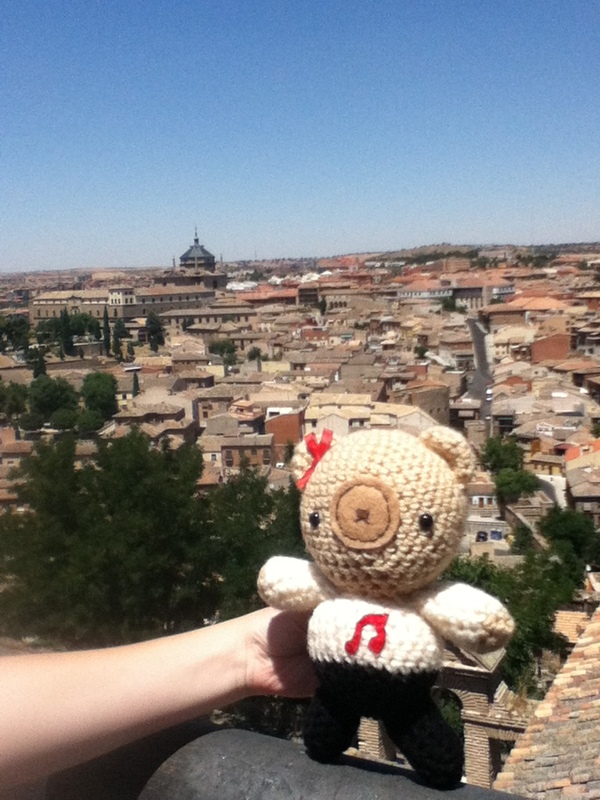 We stopped along the way to take pictures of the sunset over Toledo. This really was a great day, and personally has been my favourite so far. 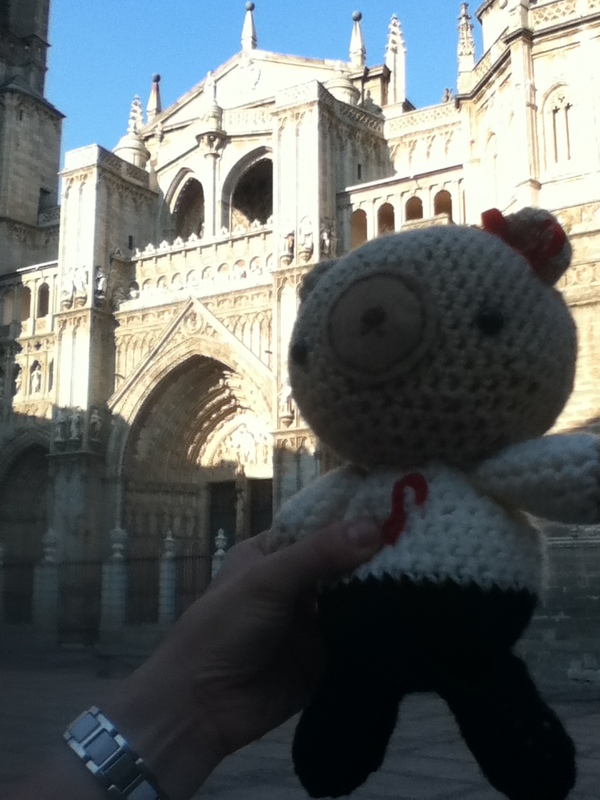 Tomorrow is exciting as well with a day trip to Segovia to look forward to. 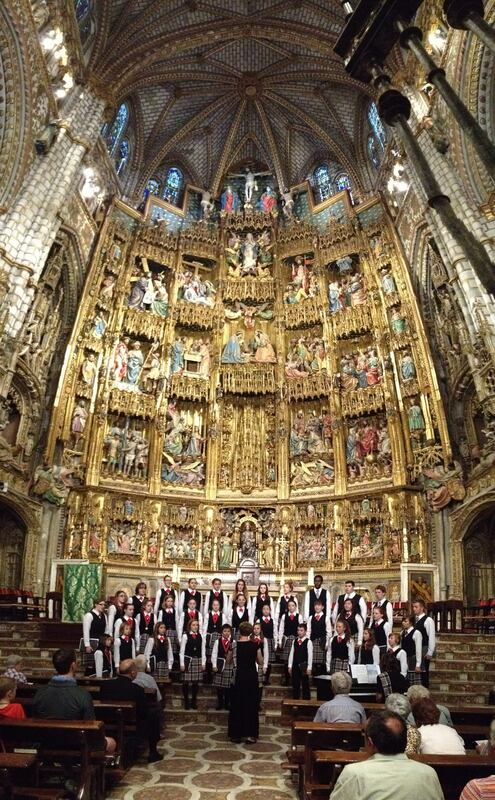 The photo of the choir in the Cathedral in Toledo is incredible! Olive Goodwin Tupper, Esme’s grandmother in Nova Scotia. I’m so pleased that with the blog I could go along with you.